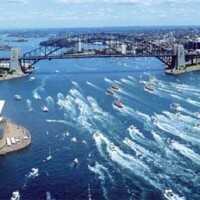 Australia is consistently one of the most popular destinations for property on TheMoveChannel.com. The country’s sunny weather and relaxed lifestyle has long been a big draw for overseas buyers looking for a new life Down Under. British expats are the main drivers of interest in Australian real estate, according to the property portal’s research. The country’s shortage of skilled workers has opened up opportunities for employment for immigrants. Indeed, the Construction and Property Services Industry Skills Council estimate that 45,000 jobs will be available in the building sector in coming few years. The 2013 Hays Salary Guide also found two-thirds (63 per cent) of Australian employers were concerned that the shortage would affect their company’s operation, while 61 per cent said they would consider sponsoring candidates from overseas. With the window for expats becoming wider and the allure of Australia’s lifestyle remaining strong, demand climbed in June 2013 on TheMoveChannel.com, pushing the country higher up the site’s top 40 destinations. Perth accounts for one-third of all searches for Australian locations on TheMoveChannel.com. The capital of Western Australia, its hot, dry summers appeal to overseas house hunters providing over 3,000 hours of sunshine every year. Expats from across Europe as well as other continents populate the area, in turn driving up employment opportunities within the service sector. The result? Even with its relative isolation within the country, Perth has become one of the most liveable cities in the world, according to the Economist Intelligence Unit. The largest city in Australia, Sydney is both a lifestyle and financial hub: its growing industries and beautiful beaches have cemented its popularity among expats. No wonder, then, that it accounts for 28 per cent of all Australian searches on TheMoveChannel.com. The central harbour and waterfront CBD can prove reliable places to invest, while international interest is fuelled by Chinese buyers keen on capital appreciation due to the country’s affordable prices. Popular areas include Chatswood, Hurstville and Ashfield. One in five searches for Australian property on TheMoveChannel.com target Melbourne. Widely considered the cultural capital of Australia, its extremely hot summers, abundance of green space and growing demand for housing (particularly rental housing) has earned the reputation of boasting the highest quality of life in the world – and certainly one of the most favourable locations for investors. The fifth largest city in Australia, Adelaide is another of the world’s most liveable cities and a popular destination for property buyers planning to relocate overseas. Less developed than the bigger commercial hubs, Adelaide’s uncluttered environment and older buildings offer a more relaxed lifestyle for residents, while the relatively fewer employment prospects and lower salaries are complemented by more affordable housing costs. The third most populous city in Australia, Brisbane has a humid climate that promises hot summers and warm winters; enough to attract tourists and expats. The city’s booming economy provides strong potential for careers and income for new residents, once again proving the most popular among British expats, who account for the majority of the overseas-born population.